OSHA Training Matters – Avoiding the Fatal Four - The Beating Heart Center, Ltd.
How often do you hear this phrase at work, “it’s time for OSHA training,” and silently groan. Yet another mandatory hour or two of training instead of working on the project you were hired to complete? In the middle of page one is a continuous scroll of worker’s names. A list of people who have recently died in workplace accidents in just the past few months, along with a summary of what happened. 1/4/2016 TX – Jullian Gallardo killed in chemical fire accident. 12/21/2015 FL – Chelseh Marie Atkinson, killed when a tractor fell down an embankment and flipped over. 12/20/2015 IL — John Jaloway struck and killed by falling concrete wall. 1/7/2016 MA — Norvant Bryant killed in fall from scaffold. 12/5/2015 NC — Mason Cox killed after becoming caught in a wood chipper. …. And the list goes on. These are tragic incidents that could have been prevented. According to statistics on the OSHA.gov website, out of 4,251 worker fatalities in private industry in 2014, 20.5% were in the construction industry. So maybe that OSHA training requirement is a good idea after all, especially if you work in construction. 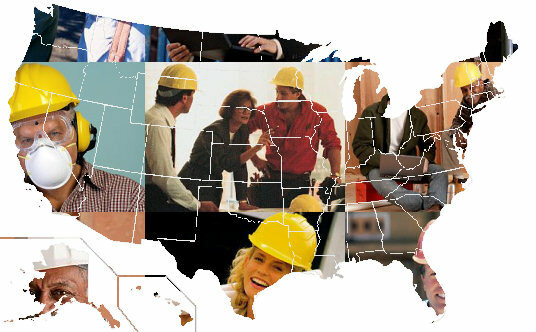 Most of those fatalities in construction were caused by 1) falls, 2) electrocution, 3) being struck by objects or 4) “caught-in-between.” This list of fatality causes are commonly called the “The Fatal Four.” By eliminating deaths from The Fatal Four in the construction industry, OSHA sources estimate that over 500 lives could be saved every year. What does OSHA require in terms of First Aid and CPR skills on the job? You can find out more about 29 CFR 1910.151 in the OSHA Best Practices Guide: Fundamentals of a Workplace First Aid Program. The Beating Heart Center is approved by the American Heart Association and the American Health Safety Institute as a CPR/AED and First Aid Training Center. The Beating Heart Center is also approved for CPR & First Aid Training by the Emergency Management Service Authority (EMSA), which oversees licensing for day care employees and bus drivers in the state of California.